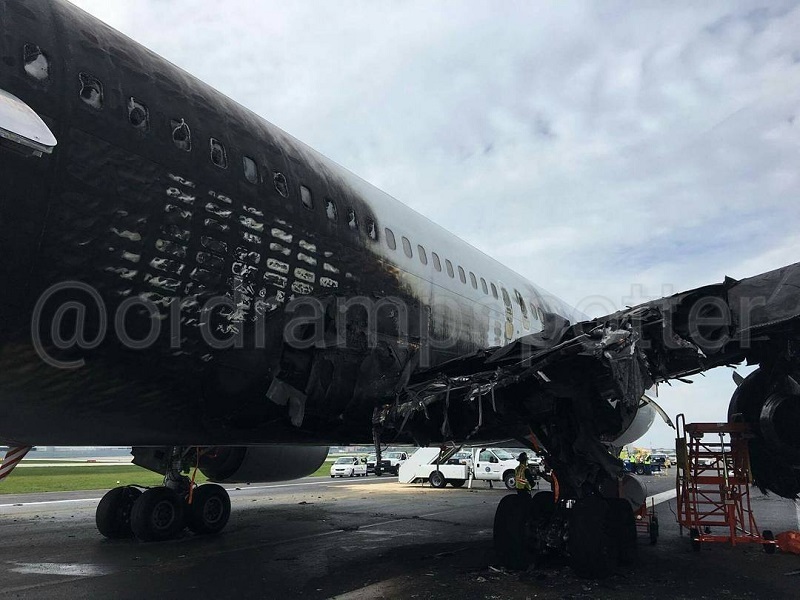 The Boeing 767 was severely damaged when when a large fire broke out on its right side during take-off at Chiacgo O’Hare Airport. There were about 20 injured occupants during the emergency evacuation. 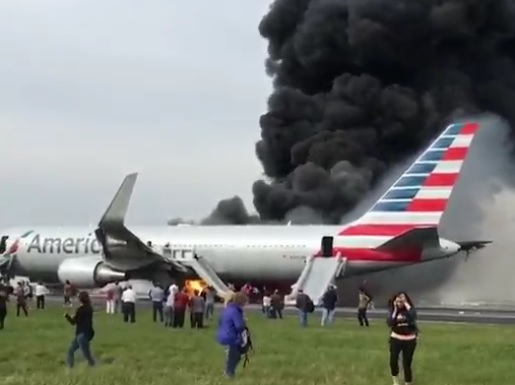 American Airlines flight AA 383, was in the early stages of the take-off run on runway 28R(ight) when a large fire erupted on its right wing. 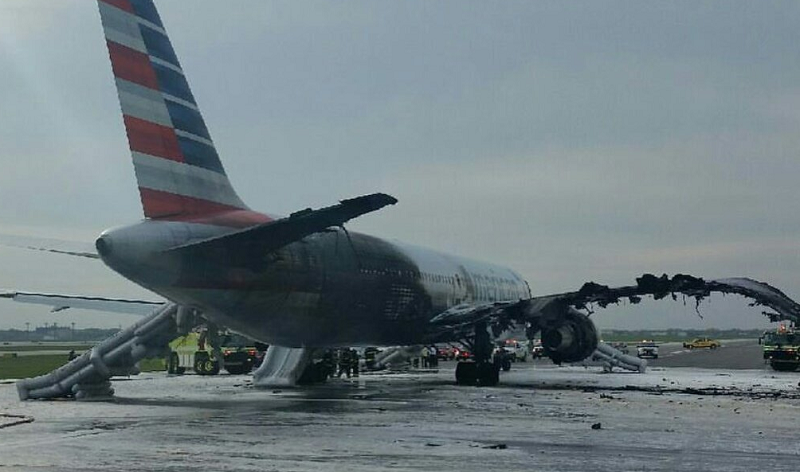 The take-off was immediately rejected and the pilots braked into a full stop on the runway. The total rolling distance from brake release point was about 1750 meters. An emergency evacuation was carried out via chutes. 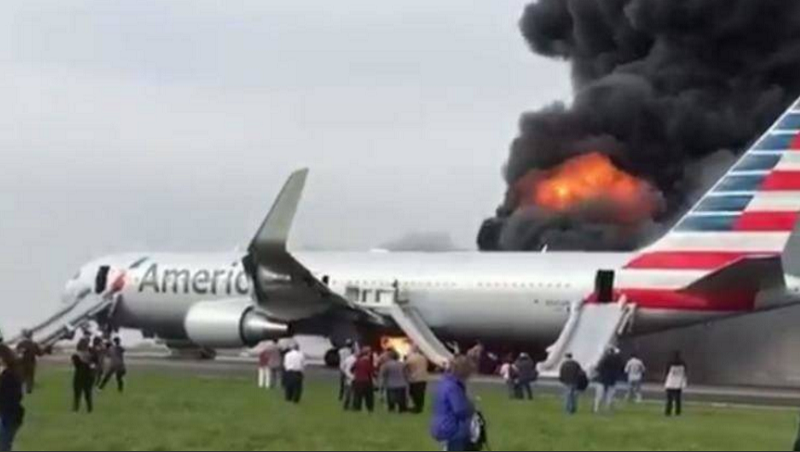 Airport fire services quickly rushed out to the scene and extiguished the flames. 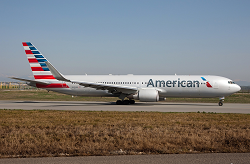 There are about twenty passengers and crewmembers who have received injuries during the evacuation. None of them was in critical condition. Early news reports indicate that a tire burst may have occured prior the fire. 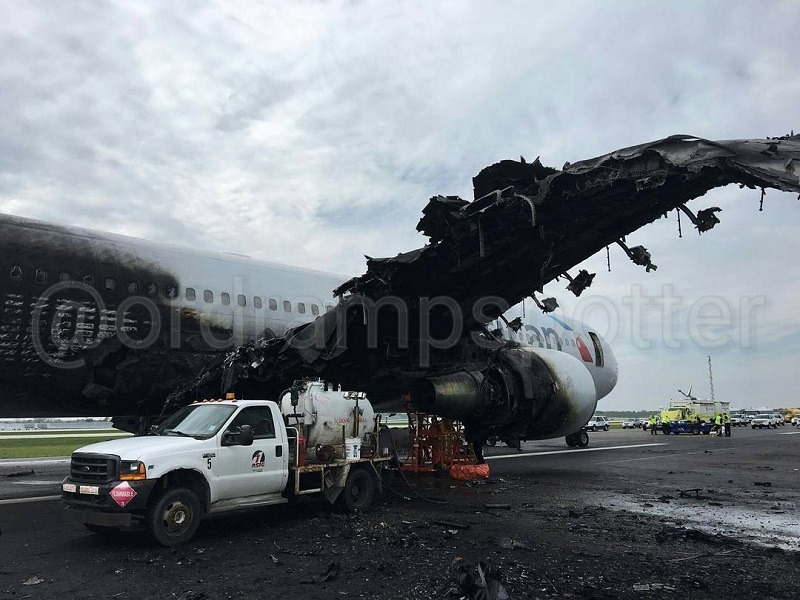 According to pictures the enire outer half of the right wing plus the right horizontal stabilizer is completely charred and burnt. 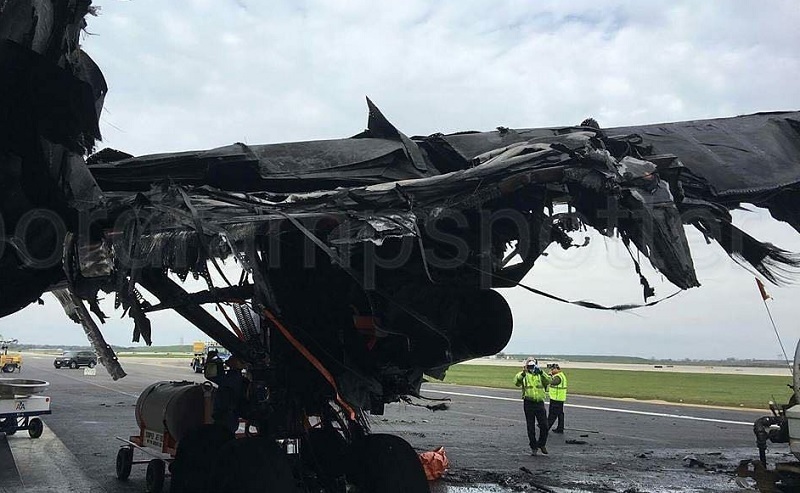 Also the fuselage aft of the right wing is seriously scorched making it unlikely the aircraft will be repaired again. 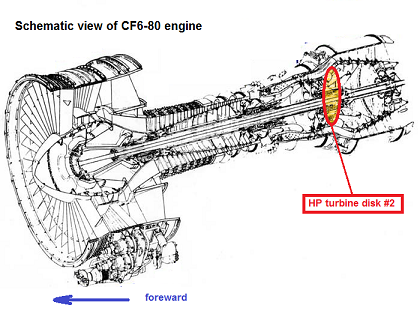 The airline reported an uncontained failure of the right engine (GE CF6-80) when accelerating down the runway at take-off power. 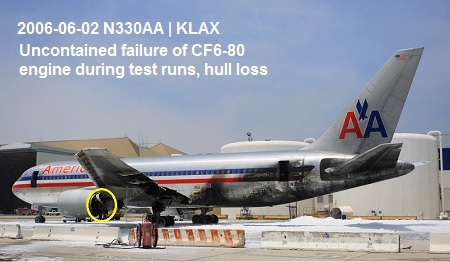 The National Transportation Safety Board (NTSB) reported that stage 2 disk in the high pressure turbine in the right engine had failed. 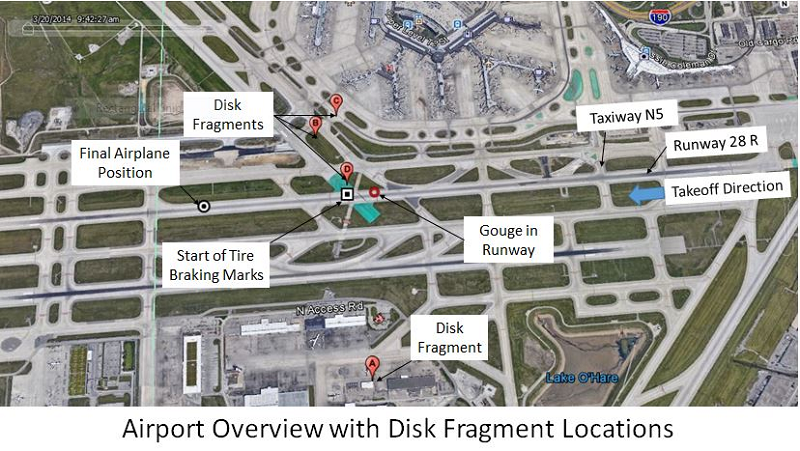 A part of the disk was found in a UPS warehouse 2,920 feet (890 meters) away from the accident aircraft. 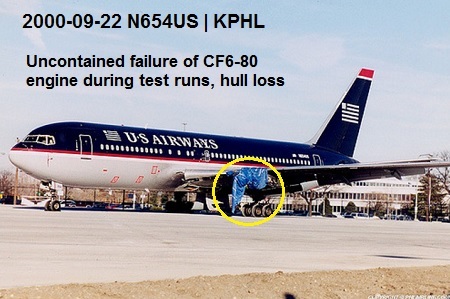 Preliminary FDR data show that the right engine failure occurred at an airspeed of about 128 knots with the engine operating at takeoff power. Approximately two seconds after the engine failure, at an airspeed of about 134 knots, the left and right engine throttle lever angles decreased rapidly. Coincident with the throttle movement, brake pressure rose in a manner consistent with maximum autobrake application; the auto speedbrakes were extended. The aircraft rapidly decelerated, coming to a stop about 25 seconds after the throttle reduction. The right engine stage 2 high pressure turbine disk fractured into at least 4 pieces (locations A, B, C, and D on figure). 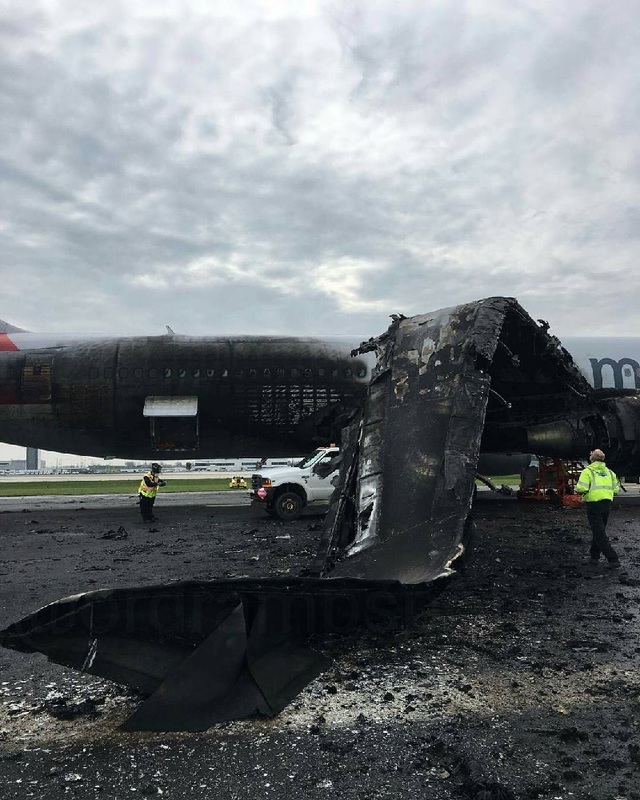 One piece went through the inboard section of the right wing, over the fuselage and into a UPS warehouse facility (location A). 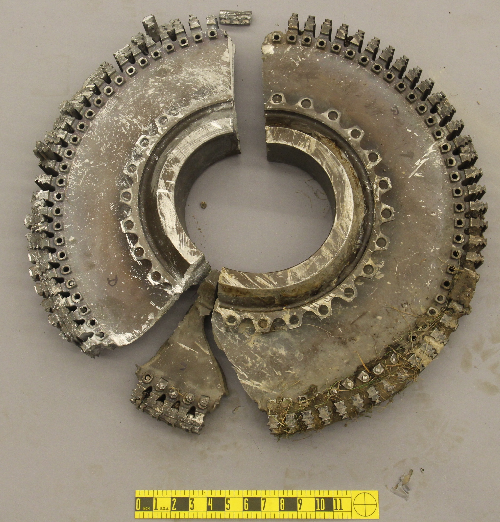 The majority of the stage 2 disk was recovered and sent to the NTSB laboratory in Washington, DC for examination. One of the fractures exhibited features consistent with fatigue cracking initiating at an internal inclusion near the forward side of the hub’s inner bore.